Reno, Nevada - There's not many ways to sugarcoat this afternoon's game against El Paso. The Aces were defeated on Sunday afternoon by a score of 12-4. A seven-run fourth inning launched the Chihuahuas into cruise control. El Paso left fielder, Josh Naylor, had the loudest hit of the inning - a deep three-run home run to right center field in the top off of reliever Marc Rzepczynski. The lefty finished the day with three hits, three RBI, and two runs scored. In total, six El Paso hitters had multi-hit games. Right fielder, Jose Pirela, was 2-for-3 with a home run, three RBI, and two runs scored. Pirela is now 7-for-11 in the first three games of the series with a home run, nine RBI, five runs scored and three doubles. 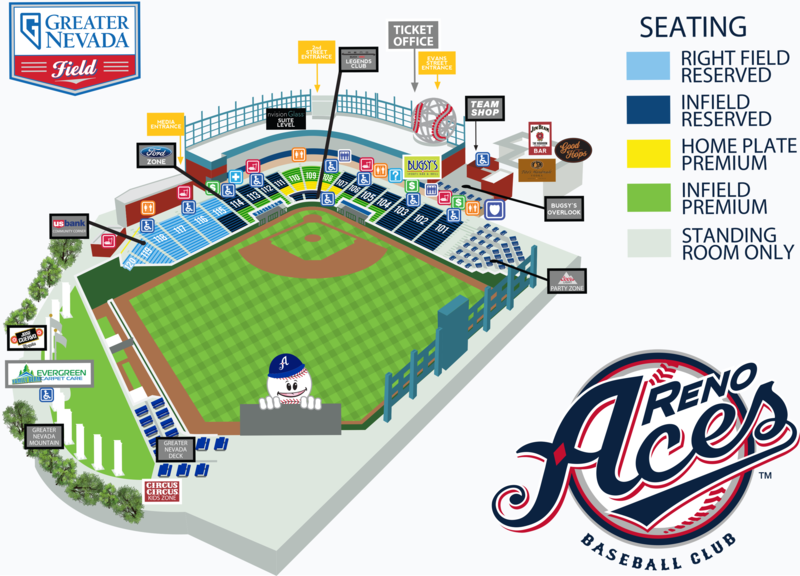 Reno's pitching staff allowed 15 total hits, three home runs, and walked seven. Aces starter Taylor Clarke departed after 3.2 innings of work allowing eight earned runs on seven hits and was tagged for his first loss of the season. Cody Decker tossed a scoreless 9th inning, lowering his Aces ERA to 1.80 over 5 innings of work. The Aces will turn to right-hander Taylor Widener in hopes of salvaging a win in the series finale. Decker on the Hill: Cody Decker played three positions this afternoon at Greater Nevada Field. None of them happened to be his primary position of first base. Decker got the start in left field and moved to right field after a double-switch brought Yasmany Tomas from first base into the outfield. Then the ninth inning happened. 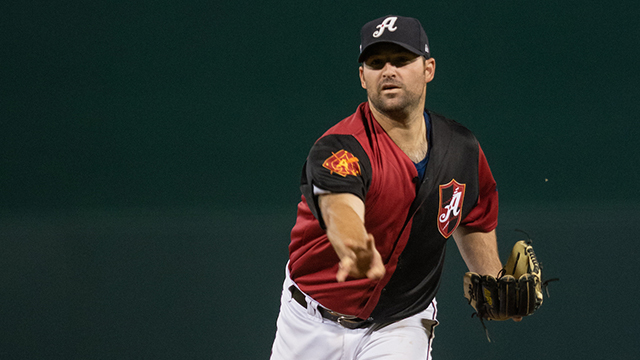 With the Aces down by eight, in an attempt to save the bullpen's arms, Chris Cron called on the veteran infielder to get the final three outs of the game. Decker, who appeared in his 1,000th career Minor League game yesterday, is no stranger to the pitcher's mound. Decker made four appearances in 2018 with the Aces, turning in a 2.25 ERA in four innings of work with just four hits allowed. Today, Decker allowed just one hit in a scoreless inning. Masters: Before today's Master's victory, the last time Tiger Woods won The Masters was April 10, 2005. Aces infielder Domingo Leyba was 9 ½ years old; born on September 11, 1995. Woods won today with an overall score of -13 under par and Leyba went 2-for-5 with an RBI.